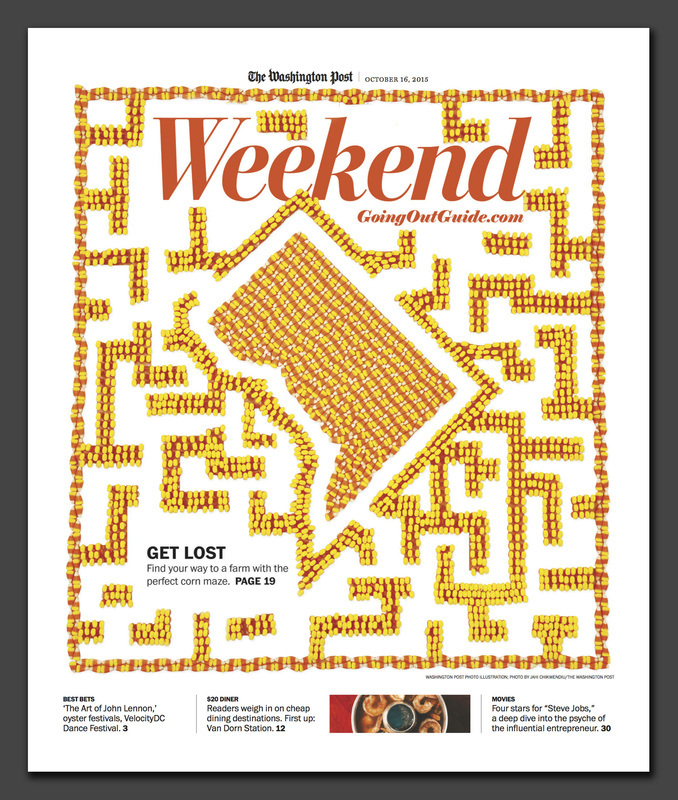 I made this Weekend cover with over 3,000 candy corns! It is a guide to corn mazes around D.C. area. At first I thought about using kettle corn to make out a maze, but then I found out about candy corns (I have not ever had an candy corn before this project!) and realized they were the perfect medium!